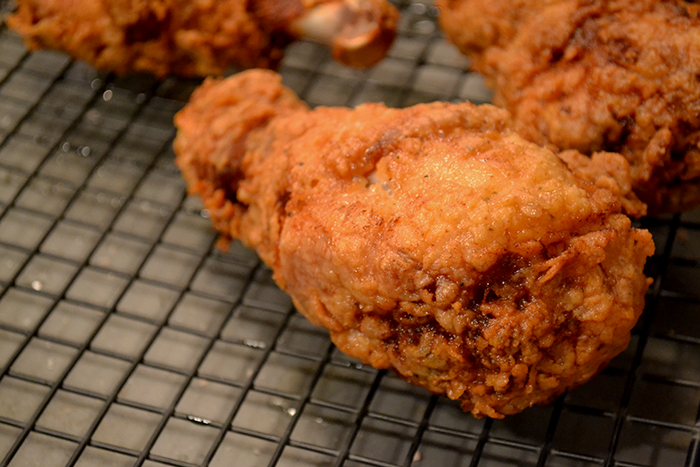 Southern Style Fried Chicken… Without a Recipe. | Pinch. Plate. Party. Southern Style Fried Chicken… Without a Recipe. If you’ve ever eaten my food, my brothers food, or my sister’s food you would understand what I mean when I say, “we don’t cook soul food.” I can cook a mean batch of Mac and Cheese and my sister can cook a delicious asian inspired dish… but we just don’t do soul food. My sister and I paired up and really had to think through what our menu was going to be. We knew that if we were going to do this, we were going to go soul food all the way. We decided on a menu that consisted of fried chicken, macaroni and cheese, collard greens, pork chops, sweet potato souffle, and sweet tea. My brother was in charge of the sweet tea, my sister was in charge of the mac’ and cheese and pork chops, and it was my job to provide the greens, sweet potatoes and of course, the fried chicken. I’ll be honest with you. I’m not a HUGE southern style fried chicken fan. I love chicken strips, and Chick-fil-A, but bone in deep fried chicken isn’t my all time favorite thing to eat. I also don’t cook fried food very often either — we stick to grilled, sautéed, and baked for most of our meats. My husband loves fried chicken, and when I say love, I mean LOVE. His mom makes some of the best fried chicken I’ve ever had so I’ve shied away from cooking it at our home because I like to leave the chicken frying up to the experts. I knew, that I needed to get over my fear of fried chicken and jump right in. I’ve made only fried chicken once before in our home and it was for our first meal of the year as a married couple. I took what I learned from that go round and applied it to the fried chicken for my mom’s birthday. Not to toot my own horn… but my fried chicken turned out pretty darn good If I do say so myself. It’s possible to make good fried chicken, and it’s possible to make it without a recipe. I cannot stress enough about the caloric repercussions of eating this chicken. It is not healthy at all. It’s soaked in buttermilk and deep fried in shortening… but it tastes great and it’s a nice treat for the family to have once in a blue moon. There are essential ingredients to any southern style fried chicken. They are: Bone in chicken pieces (I prefer thighs and legs), buttermilk, salt, pepper, hot sauce, and flour. 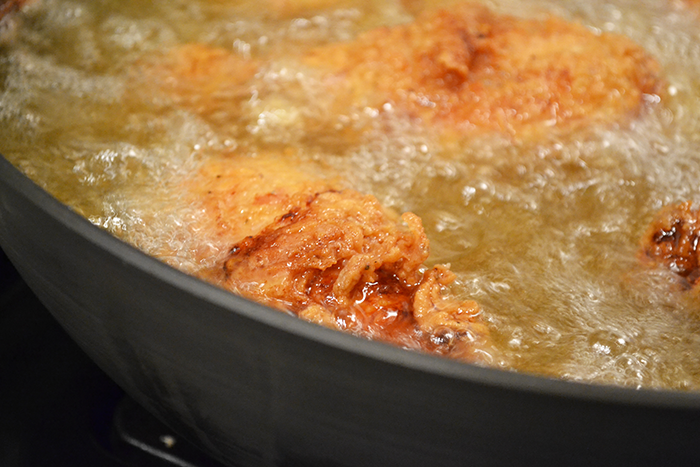 I think frying in shortening gives the chicken the crispiest crust, but peanut oil or vegetable oil works as well. DO NOT fry in olive oil. 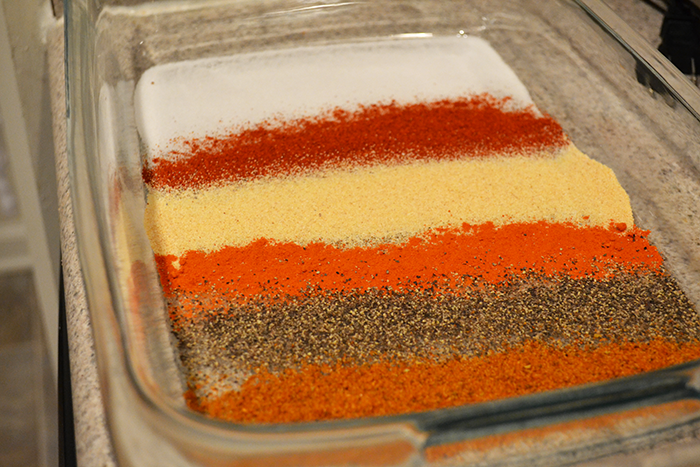 In addition to the staple ingredients I like to have the following spices on hand: Cayenne pepper, garlic powder, paprika, and Old Bay cajun seasoning. Step One: Season your raw chicken. 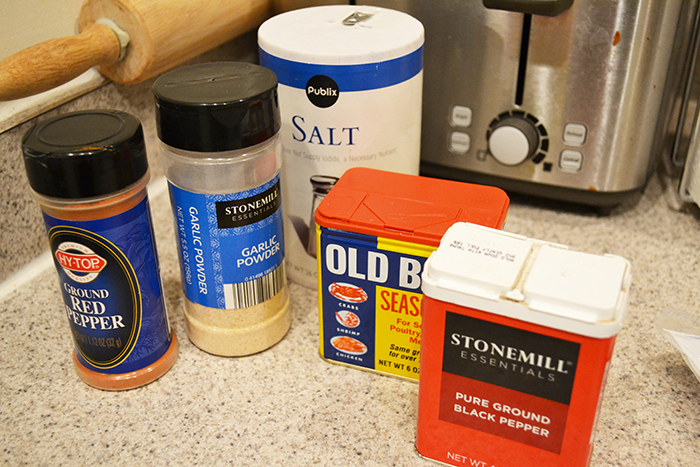 I use salt, pepper, cayenne pepper, garlic powder, paprika, and Old Bay seasoning. At the least, use salt and pepper. Step Two: Create your buttermilk brine. 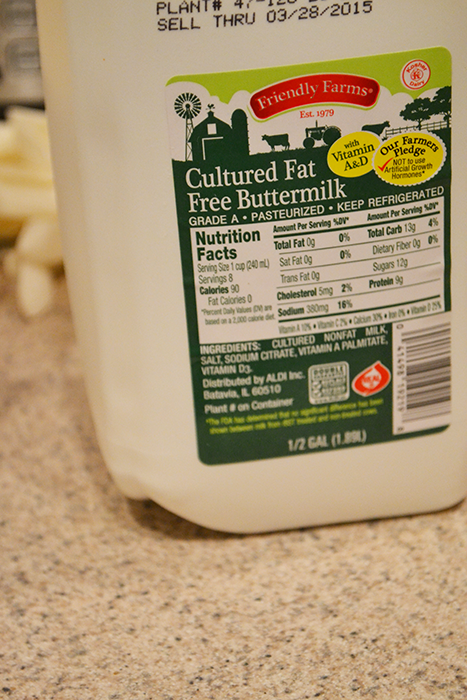 Add hot sauce to the buttermilk (less for less spicy, more for more spicy). 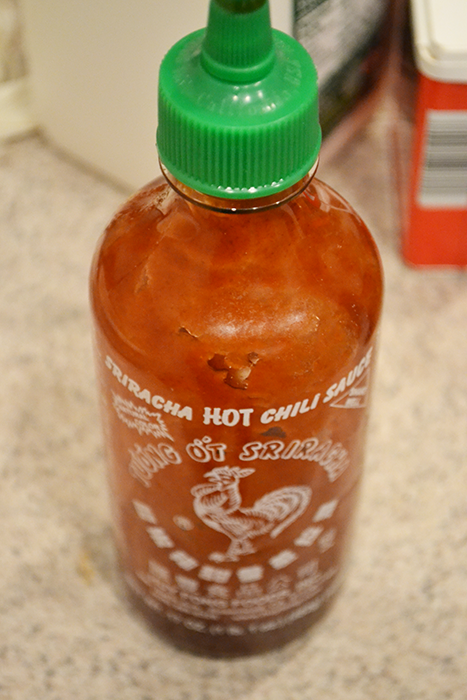 In addition to the hot sauce, add a generous amount of the same seasonings you used on the raw chicken being sure to use enough salt… but not too much salt. 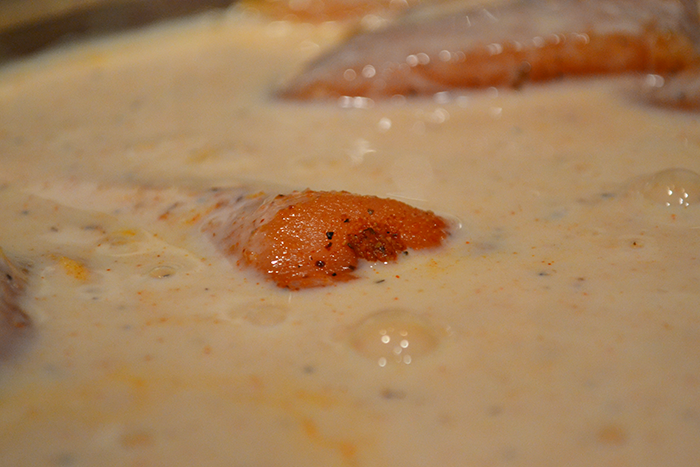 Step Three: Pour your buttermilk over the raw chicken and let sit for AT LEAST one hour or up to six hours. Step Four: Create your breading. 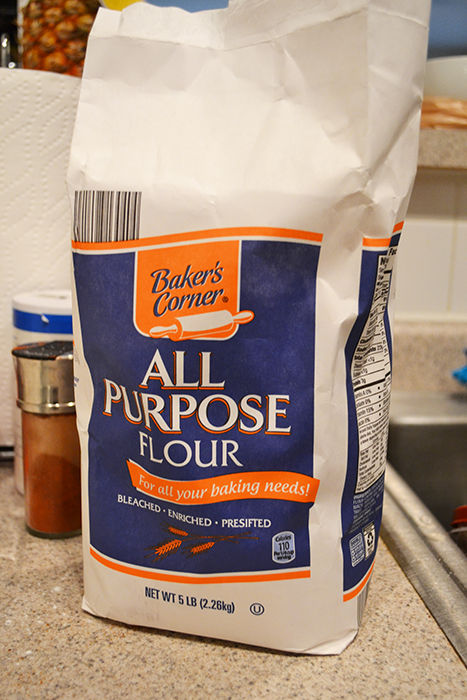 At the very least create a breading mix of flour, salt, and pepper. 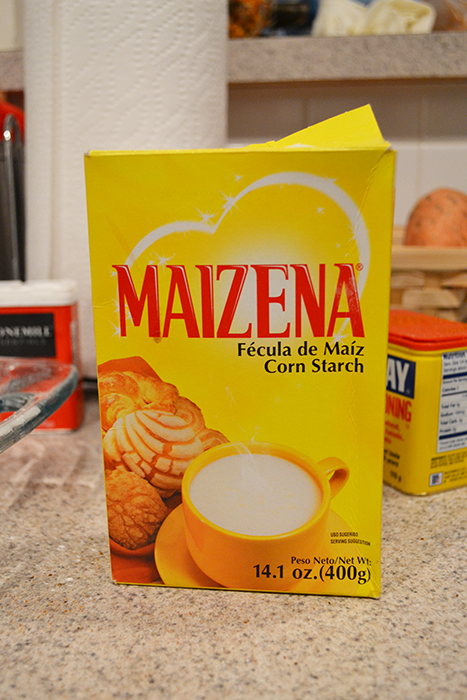 I like to add in cornstarch (just for a little extra crispiness) and the same seasonings I used on my raw chicken. Step Five: Bread your chicken. The buttermilk will work as a binding agent to bond the breading to the chicken. Let the excess buttermilk drip off the chicken and then dredge the chicken in the flour. 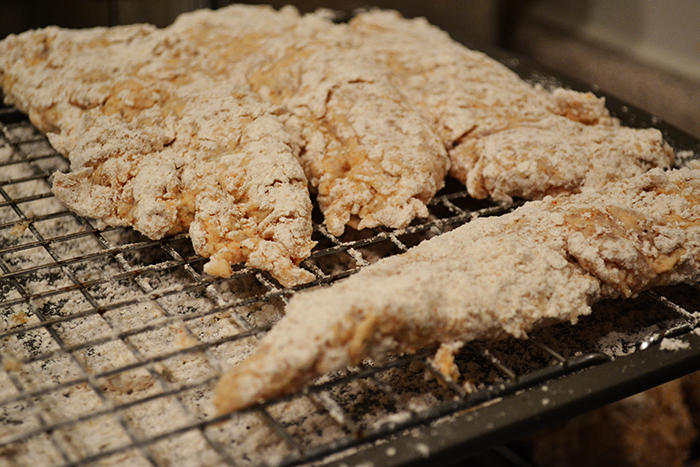 Place each piece of breaded chicken on a cooling rack set over a cookie sheet. 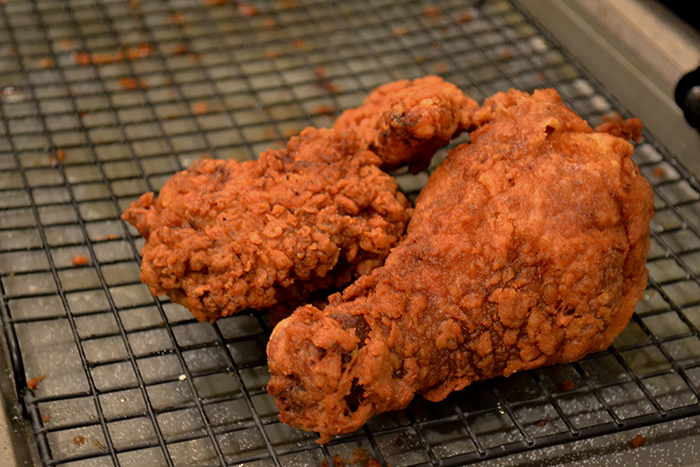 Let the chicken sit for a least 10 minutes before frying so that the breading has a good bond with the chicken. 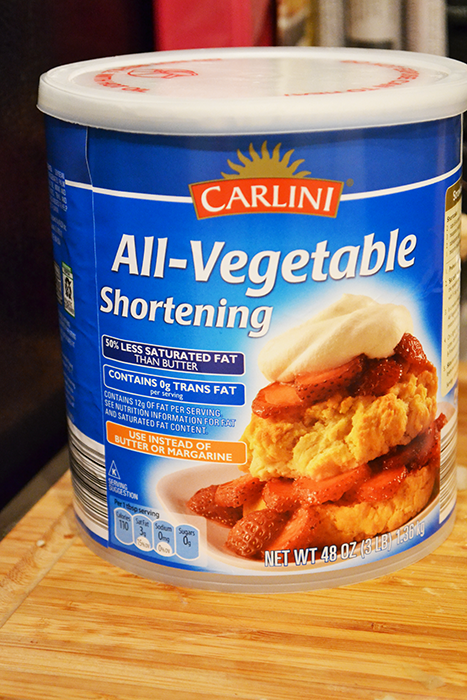 If you run out of breading or it begins to get doughy… just make more breading. Step Six: Heat your oil. I used shortening but you can use any high heat oil. Heat your oil to about 375 degrees (medium high heat should be the best setting). I suggest using a deep dutch oven, fryer, or cast iron skillet. Your frying pan should be deep enough to hold about 2.5 – 3 inches of oil. Keep in mind that you will add chicken to the pan so you don’t want your oil to spill over. Step Seven: Fry. Fry your chicken in batches. 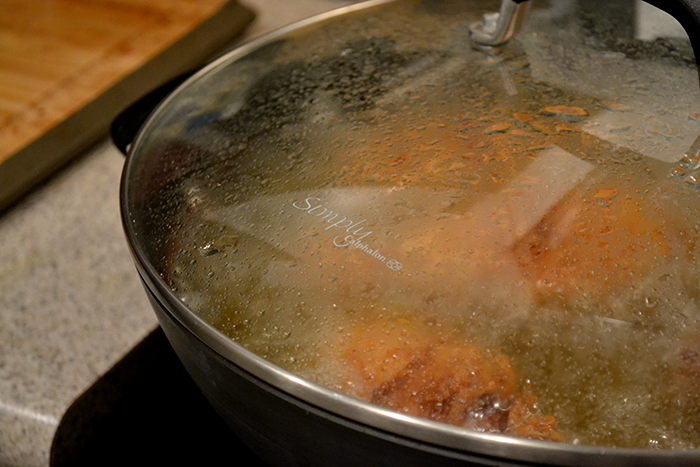 My fryer holds about 5 pieces of chicken… but to be safe, don’t over fill your pan. Fry your bone-in dark meat for 20 minutes (10 minutes on each side). Fry your bone-in white meat for 15 minutes (7.5 minutes per side). Fry your boneless white meat tenders for 13 minutes (6 – 7 minutes per side). Step Eight: Salt, Salt, Salt. Be sure to salt your chicken as soon as it comes out of the fryer. Serve warm with mac and cheese and a green vegetable. Next Post → Why I Love Food – Cooking in a World of the Forgotten Table.